Creating a successful advertising campaign is a must in today’s crowded eCommerce world. Once you have your website and products in place, you must have the tools necessary to communicate to your target audience just what you are selling. Fortunately, CodeCanyon has a large number of WordPress advertising plugins available to get you up and running in no time. Don’t worry, I have done all the hard work for you. 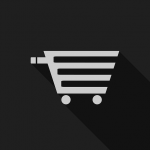 Below is a list of the top ten advertising WordPress plugins of 2019! Advertising is all about the presentation. With Adning Advertising, you will be able to create and manage an unlimited number of advertisements that entice your potential customers to learn more about what you are selling. One other handy feature for this plugin is that you can apply country filters. These filters will show or hide banners for visitors from specific countries, allowing you to target specific audiences. Don’t forget to check out the live preview of Adning Advertising to see if this WordPress advertising plugin is right for you. Having a strong presence on Facebook is a must for businesses in today’s market. The Messenger Bulksender allows you to get in contact with potential customers in a form of communication that is familiar to them and will help you convert on your advertisements. View the live preview of Facebook Messenger Bulksender! Popup ads are an integral part of an online advertising campaign. They allow you to display advertisements that are guaranteed to be seen by your potential customers. 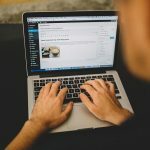 With WordPress Popups Plugin, you are able to display four different types of content that will draw your potential customers’ attention to any product you are trying to sell. Check out all the features in the live preview of WordPress Popups. 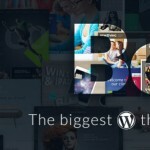 When looking for WordPress advertising plugins, flexibility and easy customization are a must. Having this flexibility will allow you to put together an ad that fits in with the theme of your website and targets your specific audience. With Ads Pro, you will have the control you need to make successful advertisements. Try out these features in the live preview of the Ads Pro plugin. Content Egg is an incredibly powerful advertising plugin that can fit into a wide range of business models. 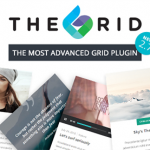 The plugin comes with plenty of templates that can fit into your website and business, such as product cards, product grids, product lists, price comparison lists, and price alert widgets. This features in this WordPress advertising plugin give you an all-in-one solution for your business. View the live preview of this WordPress advertising plugin to see just how helpful it can be for your business. By placing relevant advertisements over your most viewed content, you will be able to drive more traffic to specific products, which will result in more sales. Ad Overlay Anything will display a popup ad over any page or post in the form of a video, image, or text. Ad Overlay Anything may be a simple plugin, but it can be an incredibly powerful tool for your business. Find out if Ad Overlay Anything is right for you by checking out the live demo. Consumers are often put off by long and confusing URLs. Unfortunately, these long URLs are necessary when doing affiliate marketing. With the WordPress advertising plugin, Affiliate Links, you can mask any affiliate link URLs by shortening them or creating new ones. Look no further! Affiliate Links is a go-to tool for creating and shortening affiliate links. Envato helps creative people all around the world with its products and services. With Envato Affiliate Cash, it has never been easier to generate affiliate revenue from this global marketplace. This WordPress advertising plugin allows you to convert any Envato links to masked referral URLs. Don’t have any Envato links on your site but are still looking to earn revenue? No problem! You can easily generate any number of referral URLs and add them to your website. Don’t miss out on the live preview of Envato Affiliate Cash to see just how easy it can be to create these affiliate links. Keeping your customers and potential customers aware of the latest sale, product release, or anything that is happening in your business is a great way to generate more sales. One of the best ways to keep your website viewers in the loop is to display stylish notification bars that will give your customers the latest information. With HashBar Pro, you can create an unlimited number of customizable notification bars that your customers will see. One other notable feature of this plugin is the ability to show email subscription forms, which can help increase your email subscribers up to 500%! Watch this notification or alert bar in action by checking out the live preview. Aparg SmartAd is a unique ad plugin for WordPress. It allows you to create smart advertisements from templates to reach your target audience. Traditionally, setting up advertisements can be a painstaking process. However, with Apart SmartAd, there is much less setup time, which lets you focus on other parts of your business. Other important features include scheduling of ads, a background parallax effect, and 43 different popup animations. Check out the live preview for Aparg SmartAd to see if its functionality is right for you. The WordPress plugins described above will help make your advertising campaigns successful. To know which plugins you should consider purchasing, make a list of the different ways your business will advertise to your target audience. Once you know this, you can see if the plugins above will be able to assist your advertising campaign. If none of these ten plugins seem right for your businesses needs, be sure to check out CodeCanyon. You’ll find a large variety of advertising plugins for WordPress that may also be helpful! 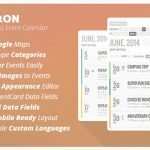 Looking for the Best WordPress Themes for 2017? 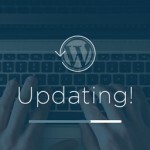 10 Common WordPress Mistakes You Really Need to Fix!